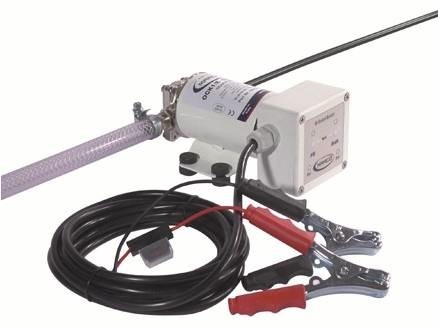 2.6 GPM Portable compact size electronic oil change kit. Easy to operate and carry. Reversible: draws�and fills oil. Complete with bronze gear pump, clips, fuse, hoses and�accessories for transferring operations. Equipped with electronic control�panel that automatically�adjusts the speed of the pump according to oil�viscosity/temperature.�The system automatically shuts off in case of empty tank, short�circuit and after 30 minutes of operation 12/24V universal voltage.